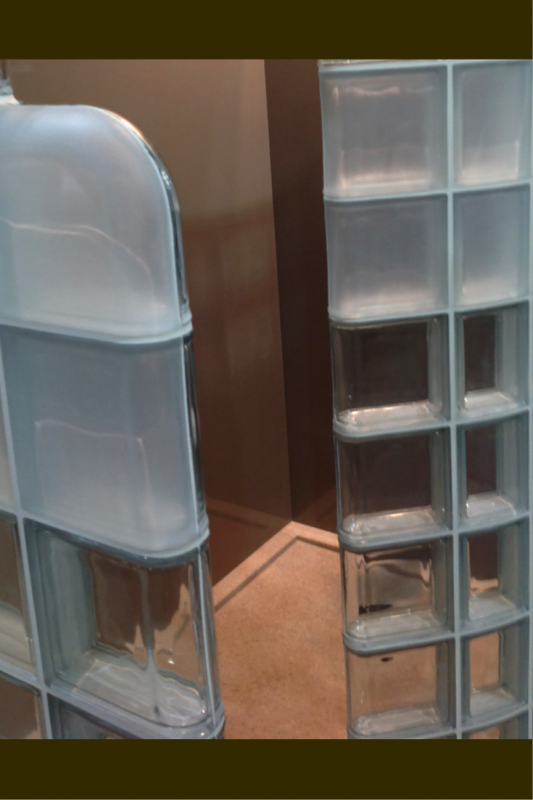 Even a classically timeless material like glass blocks can need an update to stay fresh with today’s building styles. The trend now is for bathrooms to be designed with sleek and clean lines and the new “Contempo” glass block shower line from Innovate Building Solutions is targeted to leverage how bathroom fashion is evolving. Learn below how this “Contempo” series of glass blocks is being combined with minimalist shower bases and contemporary wall panels (or tiles) to reinvigorate the look of the bathroom. The new block series combines 3 elements – a clear see-through glass block, a frosted (obscure view) unit and a block with metal patterns on the exterior face called “Illuminara” blocks. The see through clear blocks provide the open feeling desired in today’s bathroom projects – but what is nice in this series is the obscure frosted glass blocks can be used in conjunction with the clear to provide the best of both worlds (the feeling of openness and privacy). Note – when using the frosted blocks it is recommended to place the frosted surface to the outside of the shower wall for a dramatic look and the smooth surface to the inside for easy cleaning. The newest product addition in the “Contempo” series is the recently released blocks named “Illuminara.” These units incorporate different types of metal (stainless steel, brass etc.) which are adhered to the face of a block to provide illuminated patterns on the inside surface of a room when the light shines through the wall. 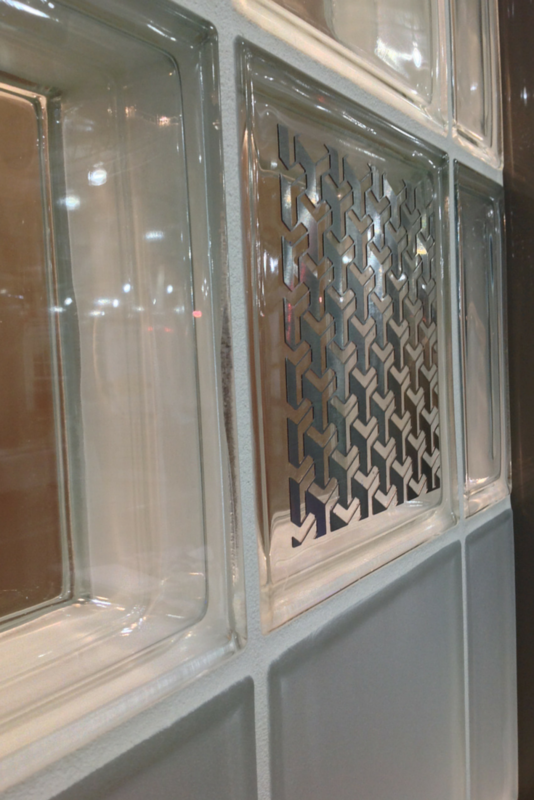 Whether you have a mid-century modern Frank Lloyd Wright look, a Southwestern motif or want the traditional look) an “Illuminara” patterned metal block can be created. To pull this contemporary showering system together choosing the right shower base and interior shower wall materials is essential. For a more modern design get away from the clunky traditional 4-5” tall step over curb with mosaic tiles. Use either a sleek low curb solid surface base design or a zero threshold (one level bathroom) wet room with large formal tiles. For the shower walls a stylish and low maintenance choice are high gloss acrylic wall panels. This product provides the look of back painted glass at half the cost. Another approach is to go with larger tiles laid horizontally or vertically – but try to make the joints 1/8” or less to reduce maintenance and improve the finished look. 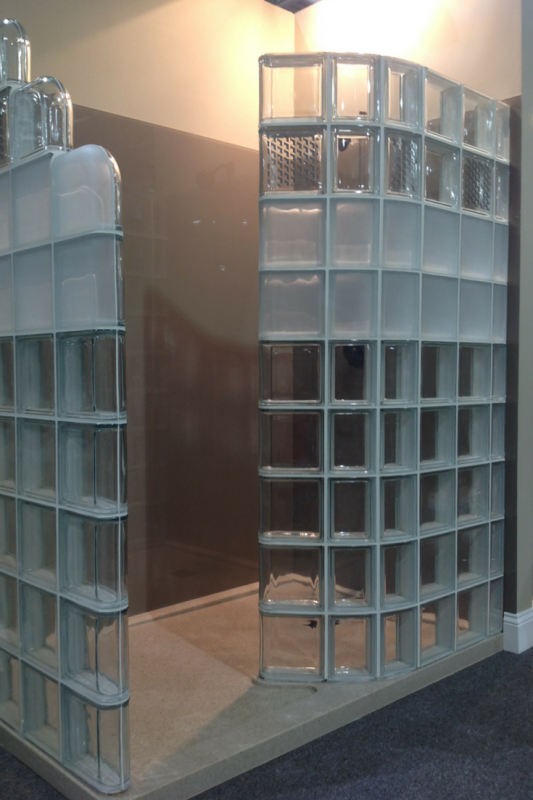 What do you think of this modern glass block shower system? 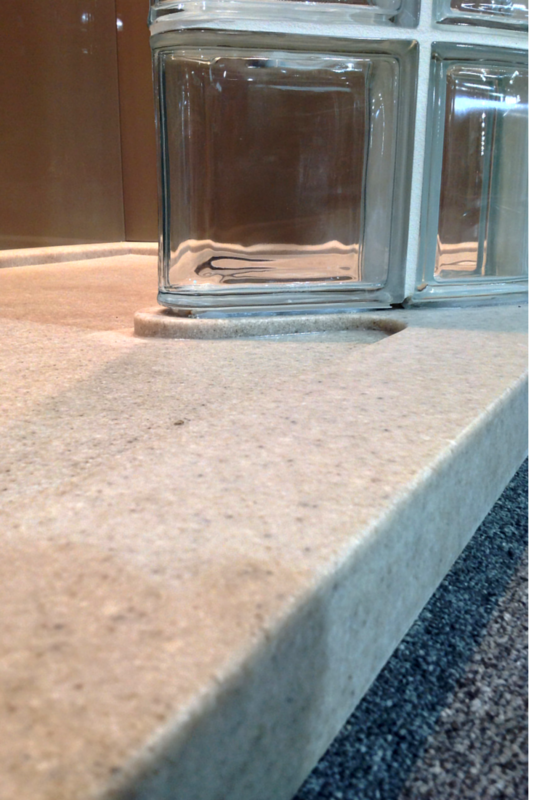 To see an example of this system in person visit the Columbus Glass Block and Innovate Building Solutions booth (number 237, 239) at the Central Home and Garden show until February 22 2015. Feel free to comment or call the numbers below with questions. Call Innovate Building Solutions on a nationwide basis (877-668-5888) or for a local glass block project their divisions including Columbus Glass Block (614-252-5888) or Cleveland Glass Block (216-531-6363). 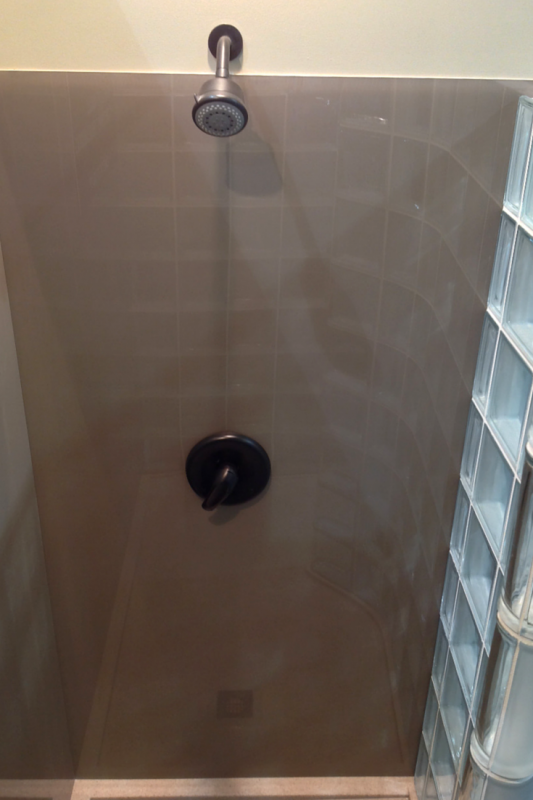 For a bathroom remodeling project call Cleveland Design and Remodeling at 216-658-1270.